Custom Rigby White fillings are a resin-based cavity fix that look great. No metal mouth! With normal wear-and-tear, the average lifespan of white fillings is around ten years. Some worry about the mercury used in amalgam fillings, giving them greater peace of mind when opting for white composite fillings instead. Technology development for Rigby white fillings has improved dramatically since the 1990’s. 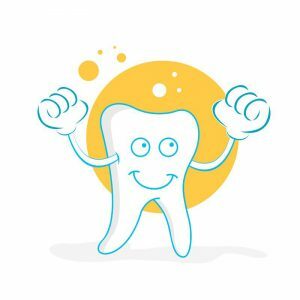 That means that by the time Dr. Mikesell went through dental school in the new century, he received the latest training for resin-based fillings. Special training is of particular importance to ensure a quality adhesion. First, they have amazing aesthetic appeal! They blend naturally with your teeth. This means you can laugh or sing without advertising your cavity count with silver fillings. Second, they do not contain heavy metals. Amalgam fillings contain mercury, which some consider to be toxic to your body. White fillings offer a great peace of mind in that regard. If you have had silver amalgam fillings in the past, one of the major differences you will notice with Rigby white fillings is the extra precautions taken to keep your injured tooth absolutely dry. Failure to keep the tooth dry could result in adhesion failure. Once the decayed area has been cleaned, a dough-like substance is inserted into the tooth. This is a cocktail of resin-based polymers, engineered filler-glass and ceramics; as well as and inorganic fillers such as silica. These basic ingredients will be slightly adjusted to provide color matching, natural luster, as well as adhesion properties necessary depending on your cavity site. A hand-held wand that emits primary blue light is used to cure the resin at the cavity site. If receiving a white filling in a back molar, you can expect the filling and curing process to occur in multiple stages. 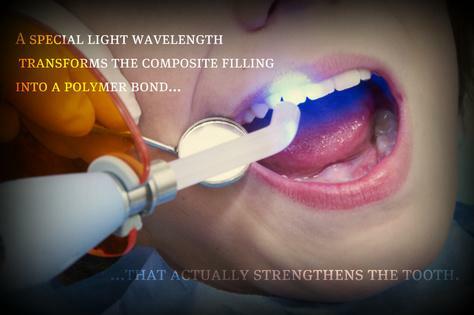 Because of the advanced technology required, there is a higher cost for Rigby white fillings. Some insurance companies will opt to cover the cost of less expensive amalgam fillings, but require patients to pay the difference for white fillings. Please visit the right-hand column to contact us via email or phone. We are happy to answer your questions relative to your insurance plan.